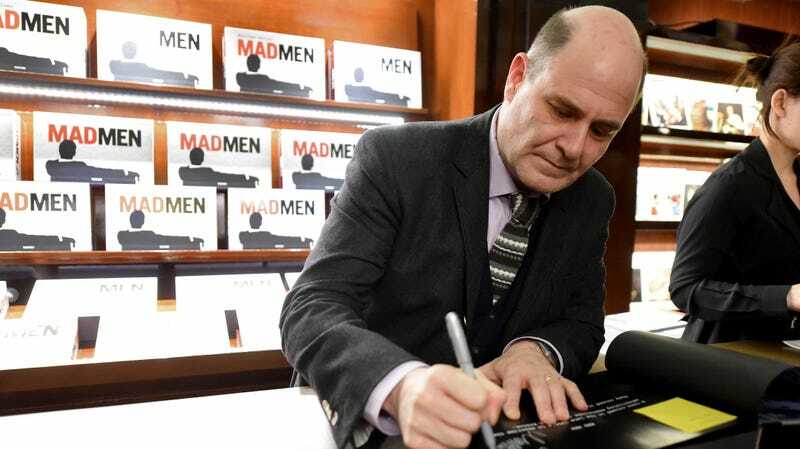 Last year, former Mad Men writer Kater Gordon accused series creator Matthew Weiner of telling her, one night as they worked alone together, that he “deserved to see her naked,” then fired her a year later. Weiner denied the charges then, and re-addressed them in an interview with Vanity Fair this week, claiming that he doesn’t remember harassing Gordon. Gordon told Vanity Fair the incident with Weiner “was not an isolated incident, but it was the most affecting,” adding, “Bullies with unchecked power create environments of fear.” Mad Men writer/television wizard Marti Noxon backed up Gordon not long after she came forward her her allegation, noting Weiner was “an ‘emotional terrorist’ who will badger, seduce and even tantrum in an attempt to get his needs met,” according to the Hollywood Reporter. Truly hard to believe a man whose career highlight consisted of creating a show about a group of sympathetic womanizers would comport himself in such a way. but here we are.